Our fascination and passion with sports is rooted in the spirit of competition, but it’s also tied to the athletes that we look up to. These men and women, gifted with talents and abilities that we can only dream of having, are held in the highest of regards. They are treated like gods among men, revered for their skills, and lauded for their accomplishments. Today, names like LeBron James, Stephen Curry, Manny Pacquiao, and Conor McGregor all share in the universal acclaim that we bestow upon them. But for those who lived through the '60s to '80s, there was only one man that stood in that mythological pedestal. The 74-year-old, three-time heavyweight champion passed away on Friday night after a long battle with Parkinson’s disease, leaving behind a legacy bigger than any athlete in history. A lot of us, especially those who are under 40 years old, never got to see Ali fight. By the time some of us were born, he was already on the tail-end of a Hall-of-Fame career, one that featured three different reigns as the undisputed heavyweight champion of the world and countless moments of equal parts triumph and heartbreak. But those who saw him fight, those who saw him at the peak of his powers? They know how such a singular force of personality he was. When he talked, they listened. When he cracked jokes, they laughed. Ali was always brash, cocky, and sometimes, borderline crazy. He never met a microphone he didn’t accommodate with a soundbite. He was an entertainer wrapped in a boxer’s body, capable of hypnotizing people with his words and knocking opponents out cold with his hands. When he fought, they watched. They watched when he won his first title over Sonny Liston in 1964, living up on his promise to “shock the world” despite being a 7/1 underdog. They watched when he brilliantly executed a brazen game plan against a young George Foreman in 1974 when everyone had thought that he would get literally killed. And by God, they watched when he fought Joe Frazier in a trilogy of fights that are still being talked about, dissected, and prodded over to this day. Ali made his career in those fights, but he made his legend in a far bigger arena, enrapturing the world with a steely conviction for what he believed was right, even at the cost of his life and livelihood. One of the biggest tragedies in sports is the fact that even those who witnessed Muhammad Ali’s career never got the chance to see him at the absolute peak of his powers. Nobody did. 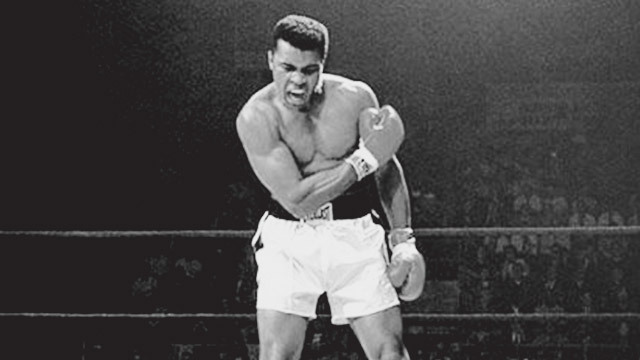 He was 22 years old when he won his first heavyweight title against Liston in 1964. He defended his titles nine times until 1967 before he was stripped of all them and had his boxing license suspended for his refusal to be drafted into the US Armed Forces at the height of the Vietnam War. He was 25 years old then, and by the time he won his license back, he was approaching 29. It’s a lost chapter in Ali’s career, and yet, that time away from the sport ended up shaping his legacy more than his accomplishments in the ring. When he was supposed to have reigned long and proud in boxing, he was instead exiled from the sport because of nine words that cut to the core of America’s political fragility and racial hostility at the time. Those words are still remembered today, not because of the controversy that ensued after he had said them, but because they cut across all racial and demographic lines and revealed the true character of a man who knew nothing better than to stand for his principles and never waver on them, even if it meant being labeled a traitor to the American cause. We're not going to pretend to have known the man any more than most of you who will read this did. The truth is, Muhammad Ali’s legendary career happened before our time, but his legacy remains to this day. He was a sportsman, a pioneer, a philanthropist, and a humanitarian of the highest order. "I'd like for them to say: He took a few cups of love. He took one tablespoon of patience. One tablespoon, teaspoon of generosity. One pint of kindness. He took one quart of laughter. One pinch of concern. And then he mixed willingness with happiness. He added lots of faith. And he stirred it up well. Then he spread it over a span of a lifetime. And he served it to each and every deserving person he met."